We asked a pool of international photobook experts to share with us an image-text photobook they find particularly interesting, regardless of its publication date and where text is a fundamental element in the narrative (not a mere introduction or essay on the photoworks). 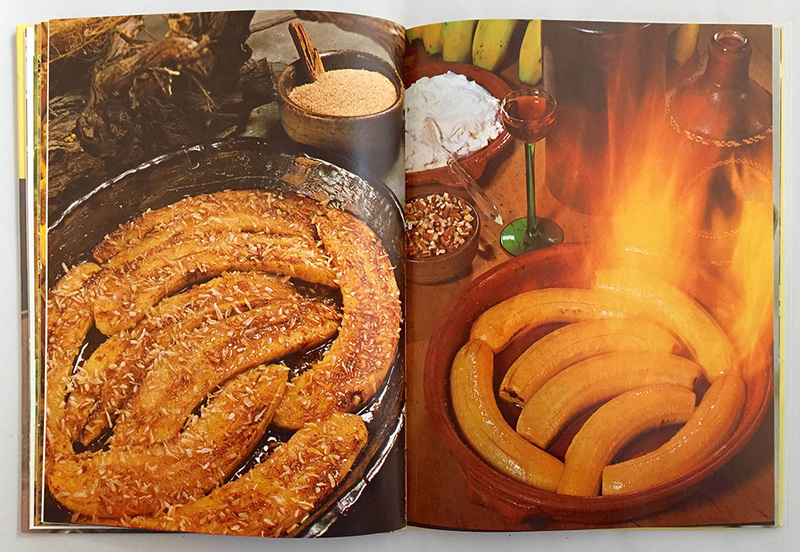 Here Rudi Thoemmes briefly introduces us to a fantastically eccentric publication, Be Bold With Bananas, specially produced for Fruit Distributors Ltd, Banana Importers of Wellington, New Zealand. 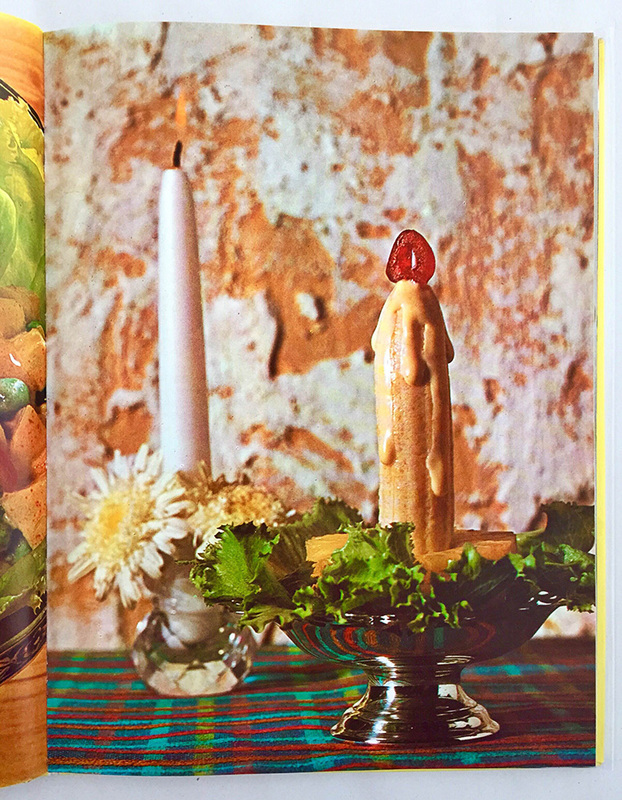 This weird recipe book, with lavish full page colour photographs was printed in Cape Town and released by Crescent Books. No date is available inside, though it is known to have appeared in the early 1970s. 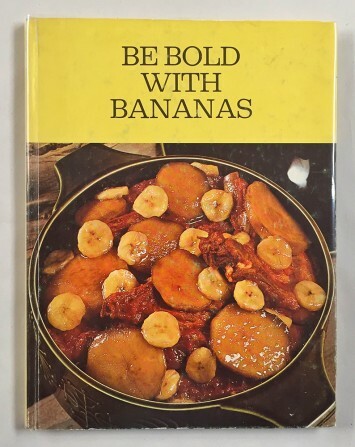 One very rare and intriguing book I’ve just come across recently is the original black & white issue of Be Bold with Bananas. Later editions in colour (pictured) had the subversive text removed and replaced with recipes. The narrative was further altered by expunging some of the earlier photographs. 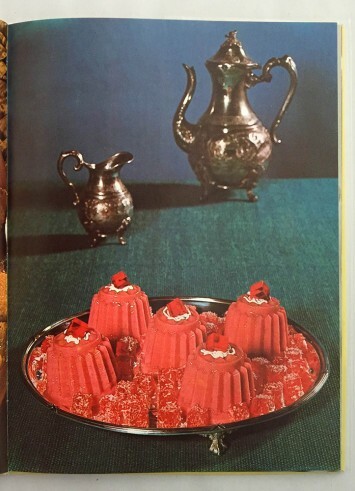 Cookery books (and for that matter Children’s books) are perhaps prime examples of where one finds text as “part of the narrative and not simply an introduction or essay”. After many years concentrating on philosophy and academic books, Rudi Thoemmes founded RRB Photobooks in 2010, selling rare and unusual photobooks published in the last century including a large selection of East German photobooks. He established Photobook Bristol in 2013, holding festivals and other events dedicated to the celebration of photobooks. In 2014 he developed this by creating RRB Publishing, concentrating on producing high quality photographic books and distributing selected International titles. His recent title is Peter Mitchell’s Some Thing means Everything to Somebody, a ‘scarecrow odyssey’.